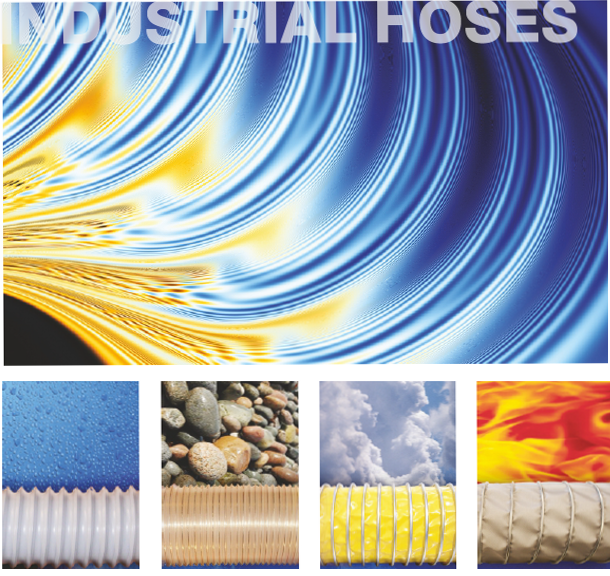 Since 1987, we, as Gökser Machine have been producing industrial hoses with a brand “TECHNIFLEX” prefered by all industrial enterprises notably Defense Industry, Military and Aviation. Industrial flexible hoses are usually used in all kinds of industrial applications, transfer of air particals and other gas fluids. These hoses have the capacity to be bent, shrank and extented by being produced from various materials and they are resistant to both cols and hot environments. They are produced in different production methods due to place of use. Aforesaid produced hoses are being manufactured only by our company in Turkey. As a local hose manufacturer, we can provide fast delivery duration, affordable price and easy access for consumer firms regarding these hoses which are produced only in 2 diffferent locations all over the world, are nationalised by our company. Besides, our hoses TECHNI SIL 40 and TECHNI SIL 41 which are silicon made and resistant to high temperature (-70 / + 250 C) have passed the tests of “Gas and Toxicity”, “Inflammability” and “Smoke Density” given by “Govmark” testing center located in United States successfully and certificated.